Beside the engine I changed a lot more parts during my K20 swap. I installed nearly the whole brake system and suspension of a Civic Type R (EP3). That included wheel hubs (5-Lug), whole brake system, anti-sway bar and the suspension arms. I realized that you don't need Type R suspension arms, because your EM2 arms are almost identical. After these parts were changed, the swap got interesting. 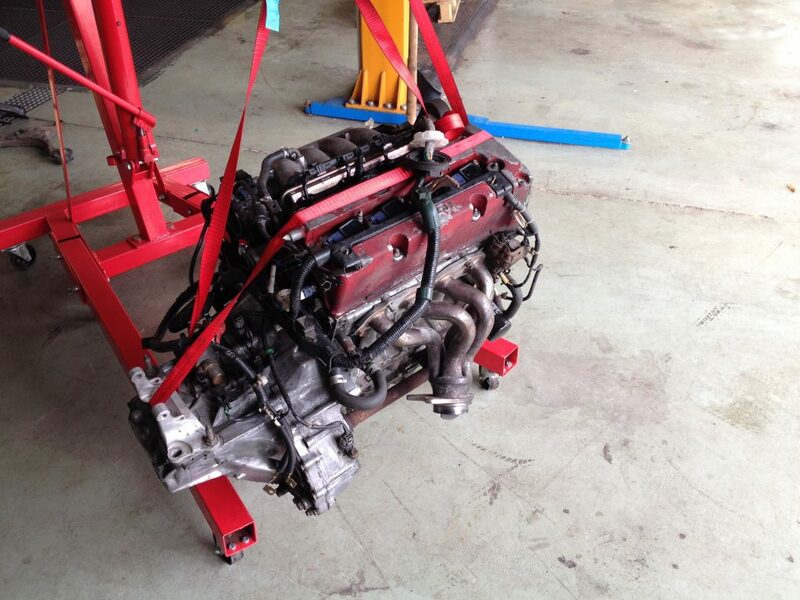 After a little preparation of the new engine I installed the K20 from above by help of a engine crane. Do you have to install the suspension from the EP3 and the 5 lug hub and brake system or can it remain the same for now plus, do you need to change the axels? that whole brake upgrade and 5 lug conversion is optional. If you want to use the stock parts with a K-Series engine, you only need to change the axles against Civic Si or RSX Base axles.